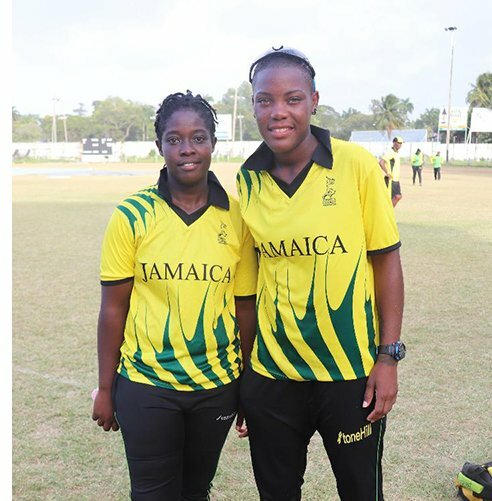 (l-r) Vanessa Watts (4-25) and player-of the match Chinelle Henry (54 and 2-17). A half century by Chinelle Henry followed up by a four wicket haul marked an 80-run victory for Jamaica over Windward Islands in the opening round of the Cricket West Indies Colonial Medical Insurance Super50 tournament at Georgetown Cricket Club (GCC) yesterday. 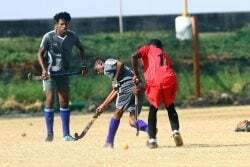 Windwards won the toss and sent Jamaica in to bat where they posted 236-8 from their full quota and then restricted Windwards to 156 in 46.3 overs. Jamaica’s batting was indebted to 23-year-old Henry who was dropped on 31. She stroked 54 from 40 balls with six boundaries, predominantly through the third man region. 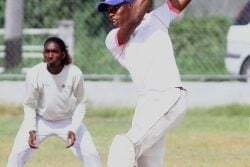 Henry, before she was trapped leg before wicket (LBW) attempting to sweep a delivery from leg-spinner, Afy Fletcher, shared in a sixth wicket partnership of 69 with Jodian Morgan who contributed a 39-ball 31 that was decorated with four boundaries before being stumped…..